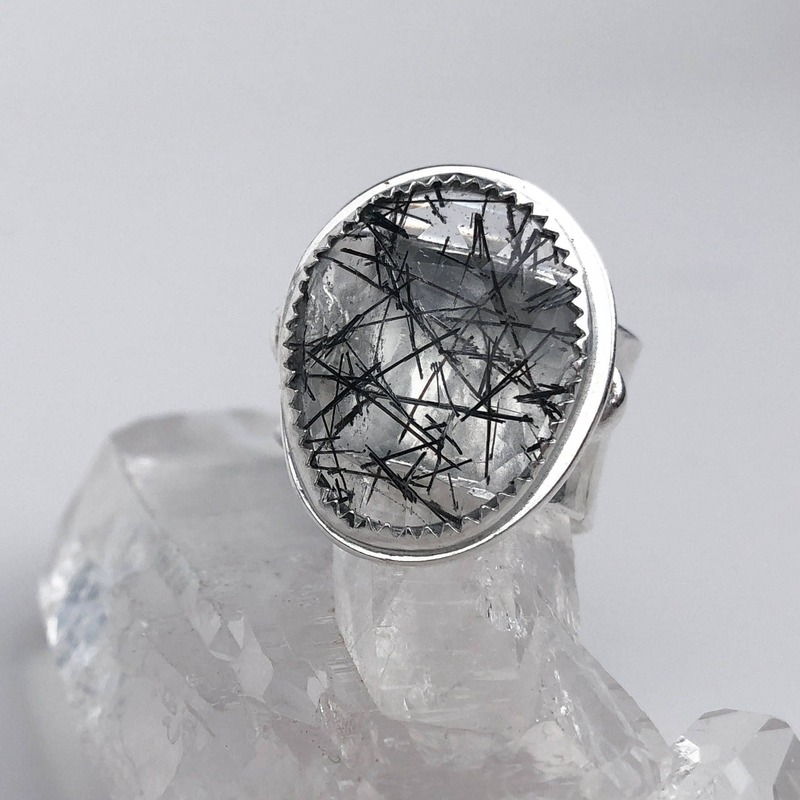 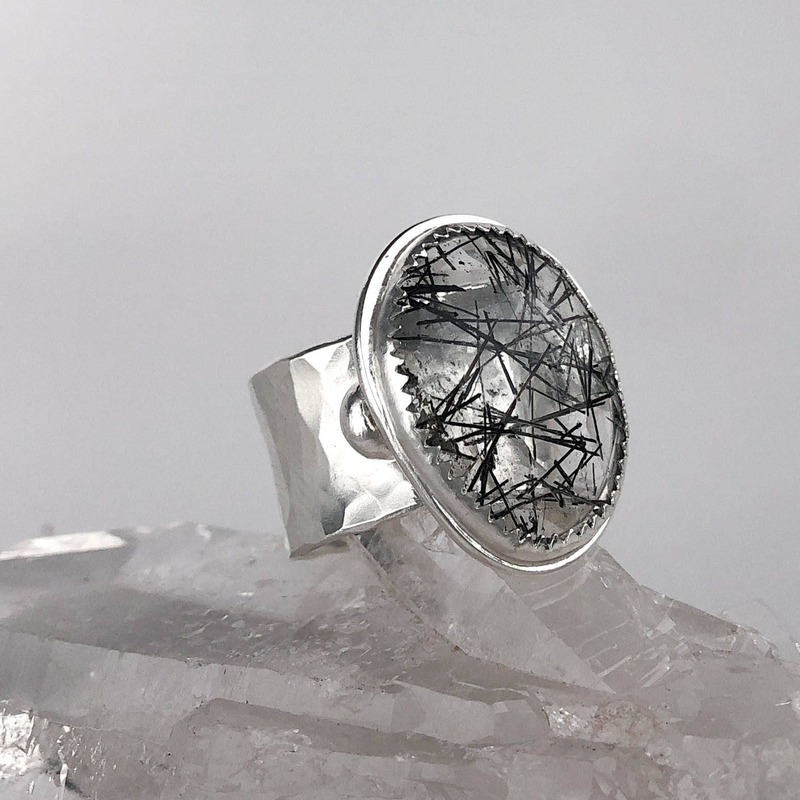 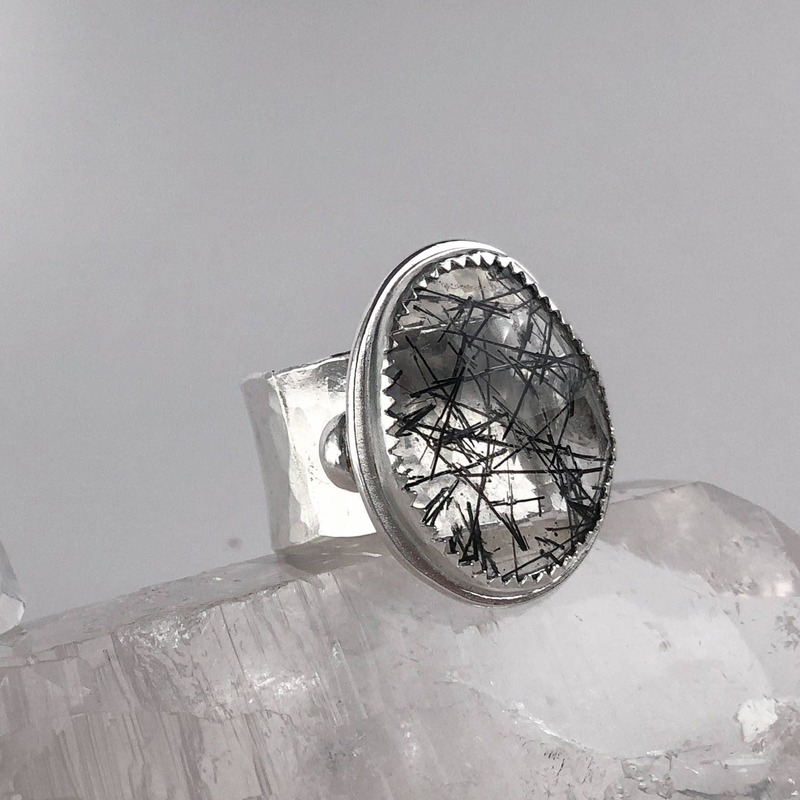 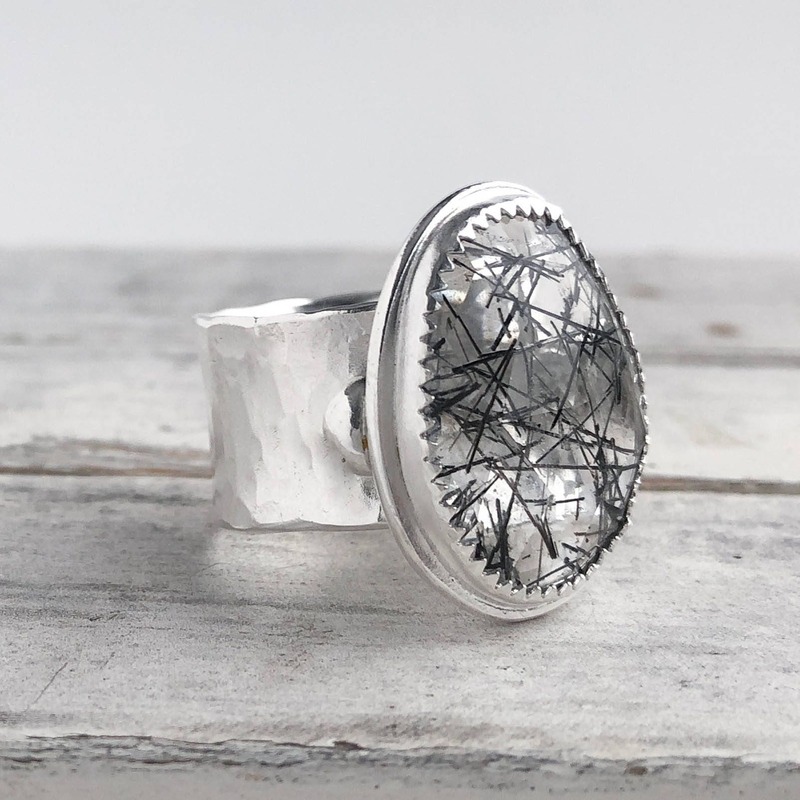 This statement ring was handmade with a gorgeous 11.5 carat tourmalinated quartz rose cut gemstone and solid sterling silver. 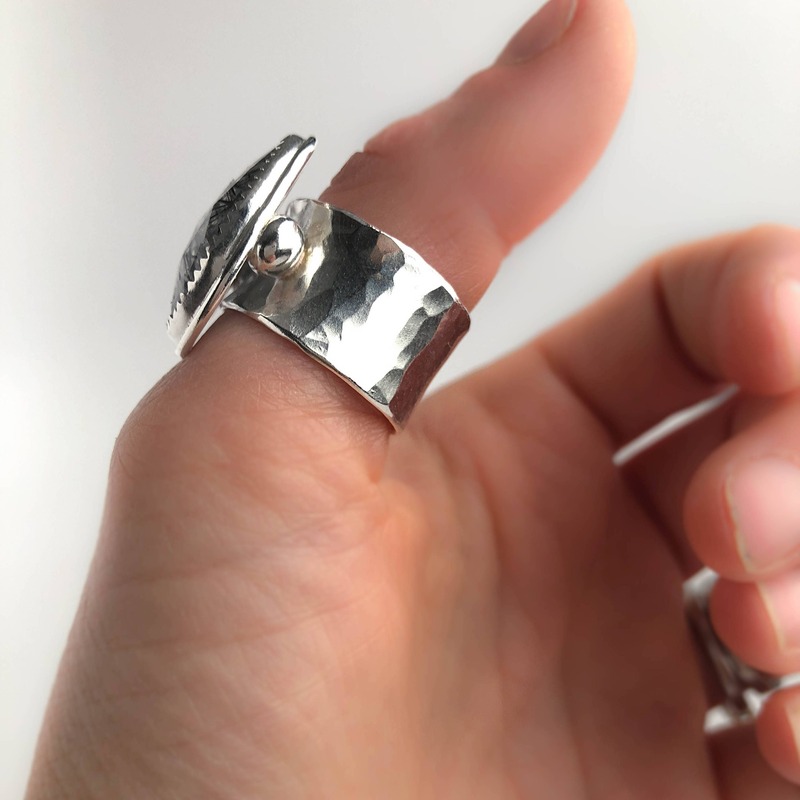 I created the band from thick and heavy sterling silver and gave a slight flare to the ends so it's super comfortable to wear. 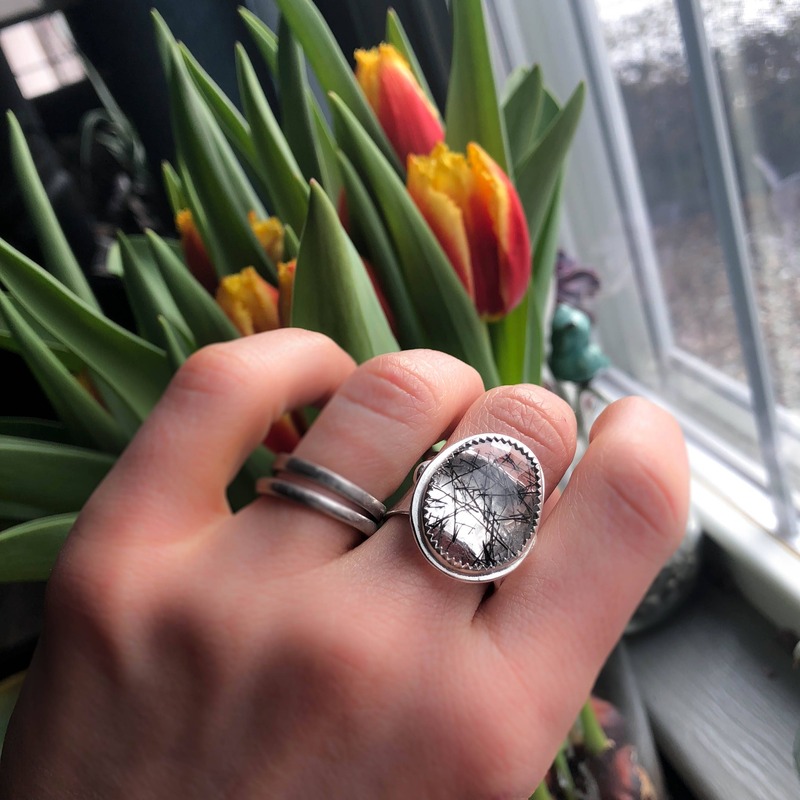 I hammer textured the band and gave it a high polish so the light would reflect off of it beautifully. 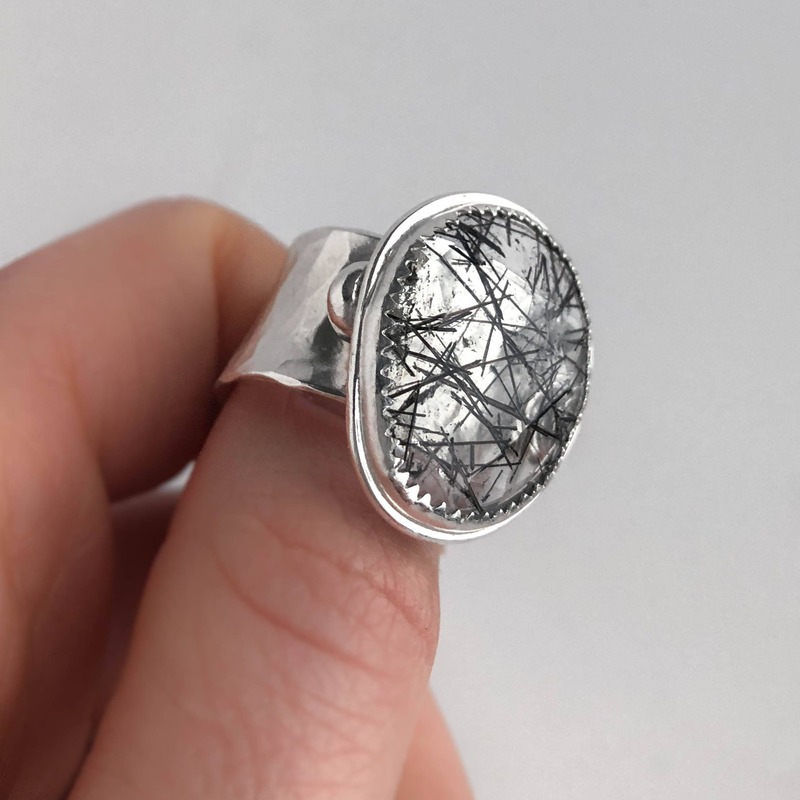 The stone is raised up a little bit off of the ring band allowing the light to hit the silver band underneath and reflect up through the stone. 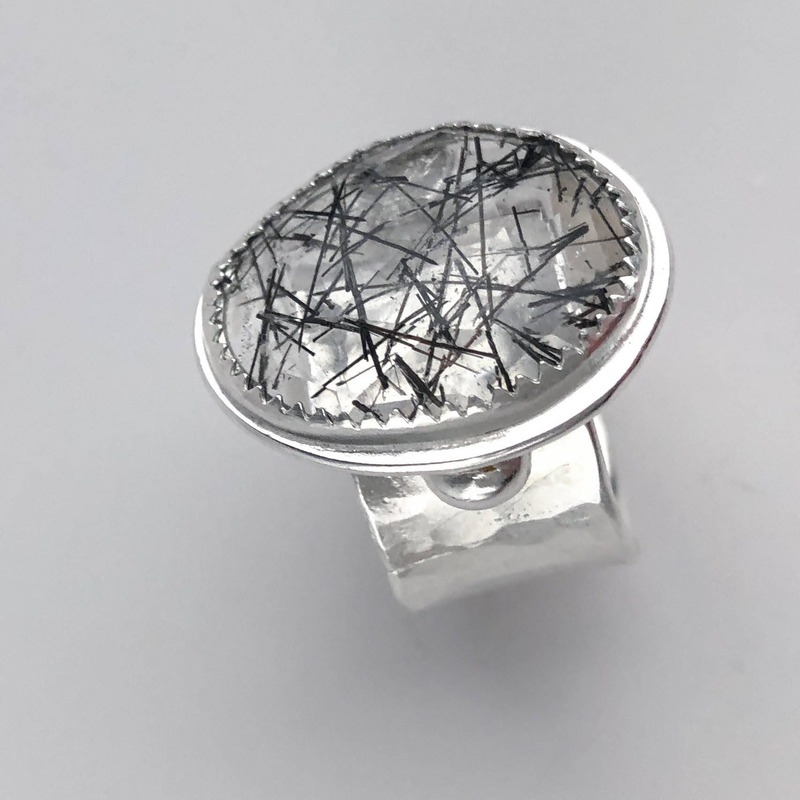 The ring is a size 8, this is ready to ship. 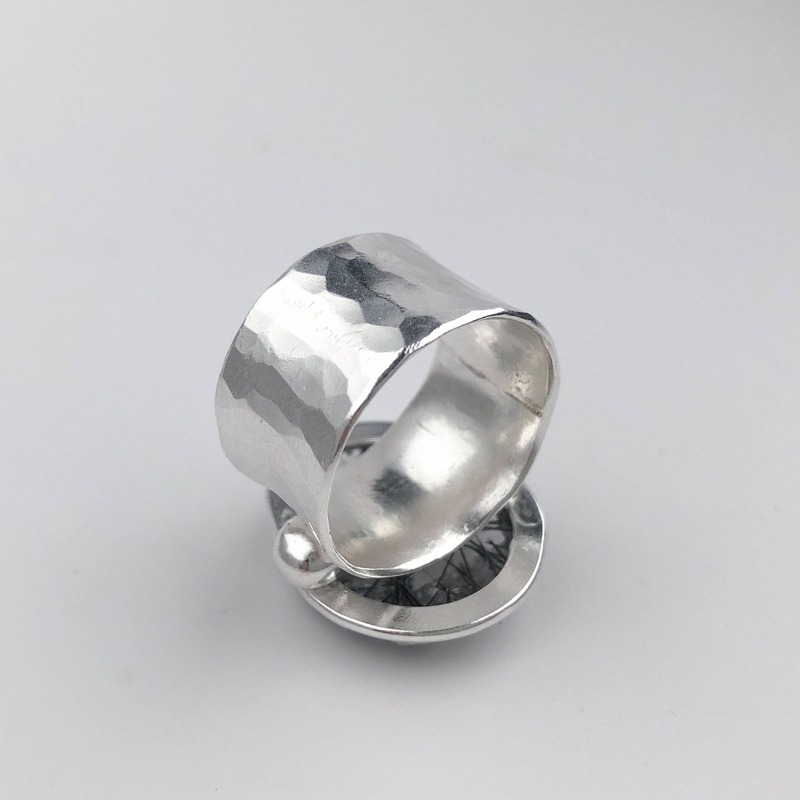 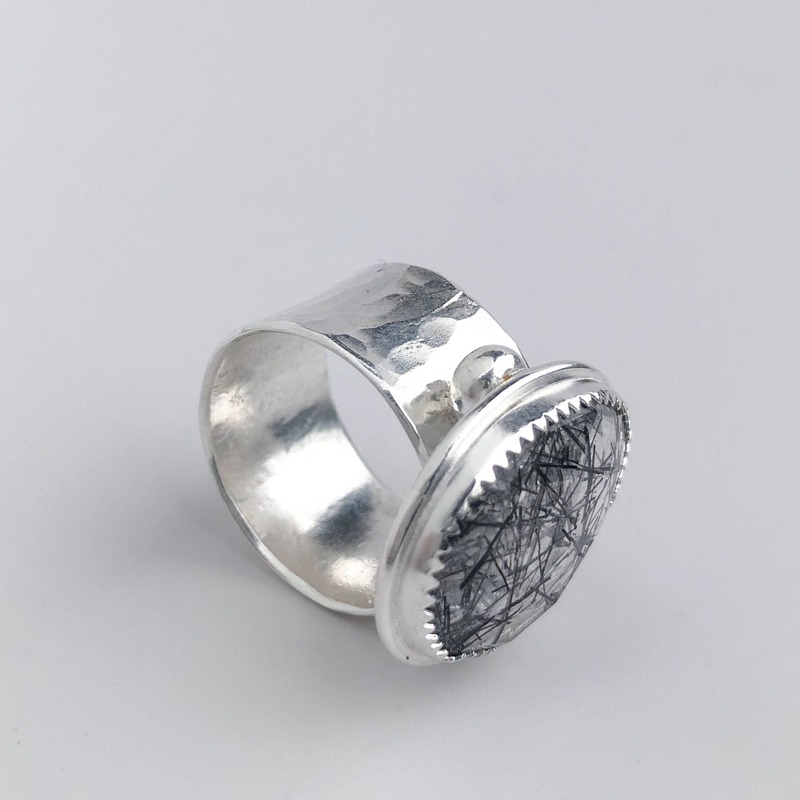 We are not able to resize this ring.